Qualifying for the 2018 Bubba Burger Grand Prix was completed on Friday with Team Penske Acura and Chip Ganassi Racing managing pole for the weekend's sprint event. Juan Pablo Montoya placed the No. 6 Acura ARX-05 Prototype at the top with a quickest lap of 1:12.922 and Joey Hand piloted the No. 66 Ford GT to P1 for Saturday's race start with a 1:16.869 run. 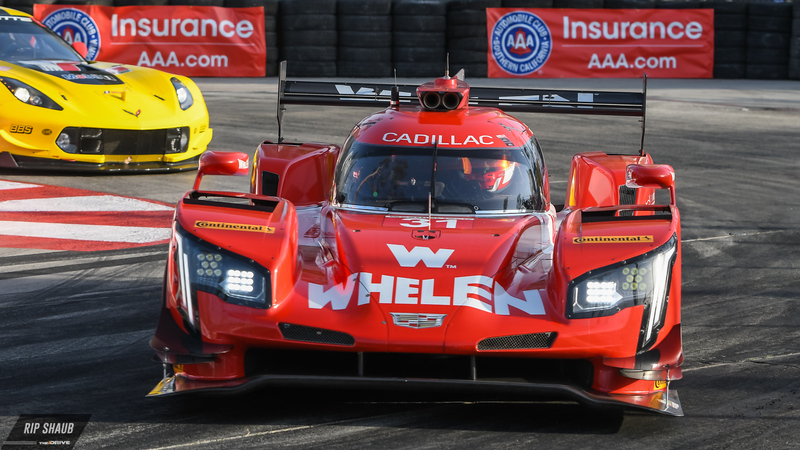 In the Prototype field, about one-tenth of a second separated Penske and the second-place starter, Whelen Engineering's No. 31 Cadilac DPi-V.R. Felipe Nasr drove the latter to its eventual qualifying time of 1:13.109, nudging the Action Express Racing-derived squad past Mazda Team Joest's No. 55 RT24-P by .047 seconds. These cars complete the top-three for the weekend's IMSA main event with Penske's No. 7 entry falling just outside in the fourth position. This will be Penske's first start from pole with its new partner, Acura, in the IMSA WeatherTech series. Montoya managed a track lap record in the process, taking what he's learned from the first two rounds of competition this year and applying it to the tight circuit layout. His teammate in the crew's No. 7 entry, Helio Castroneves, will be starting Saturday's race as well, both having won at Long Beach in IndyCar previously. “Acura and Team Penske have done such a good job on the car this weekend,” concluded Montoya. “It reminds me of driving a Formula 1 car, you can hustle it around and you still have to manage it. I’m really looking forward to the race tomorrow, it should be a lot of fun." The GT Le Mans front-row will be locked out by CGR's No. 66 Ford GT racer and the No. 912 Porsche RSR in that order. Ganassi's Joey Hand hustled a 1:16.869 around the Californian track, enough to eclipse Porsche's best effort by 0.144 seconds. 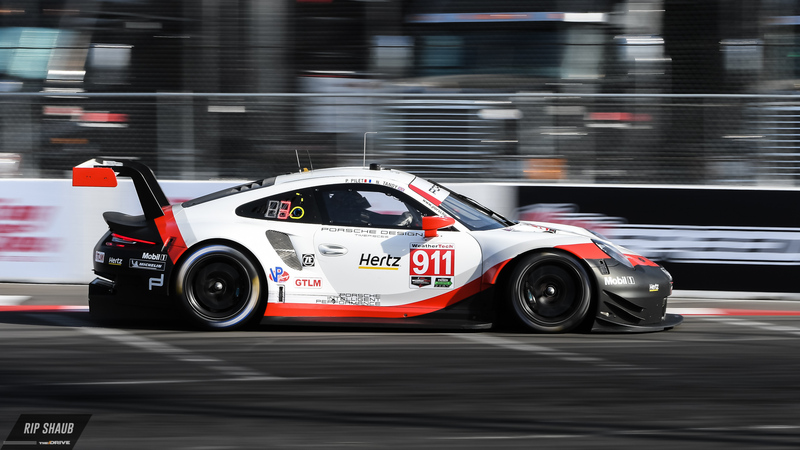 The second Stuttgart-entered 911 will follow closely behind in third-place on the starting grid. 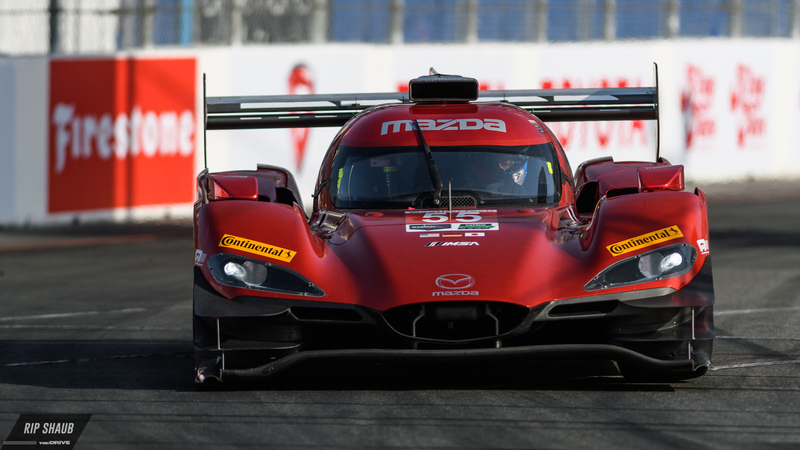 Corvette Racing punched in a four-five effort, and Ganassi's No. 67 car will start in sixth. The BMW M8 GTE twins will start at the bottom with the No. 25 and No. 24 cars starting in seventh and eighth-place respectively. Hand similarly set a record for the GTLM category around the 1.968-mile, 11-turn street circuit. This marks the second pole at Long Beach for the American sportscar driver with his first coming in 2011 with BMW Team RLL. “We made some last minute changes before qualifying,” Hand said. “We just kept tuning and tuning. Man, I work with the best team, Ford Chip Ganassi Racing. It took until the last lap. I didn’t get a good one until then, with low fuel. I knew it was the time to do it." The 100-minute 2018 Bubba Burger Grand Prix begins at 1:05 p.m. PT. 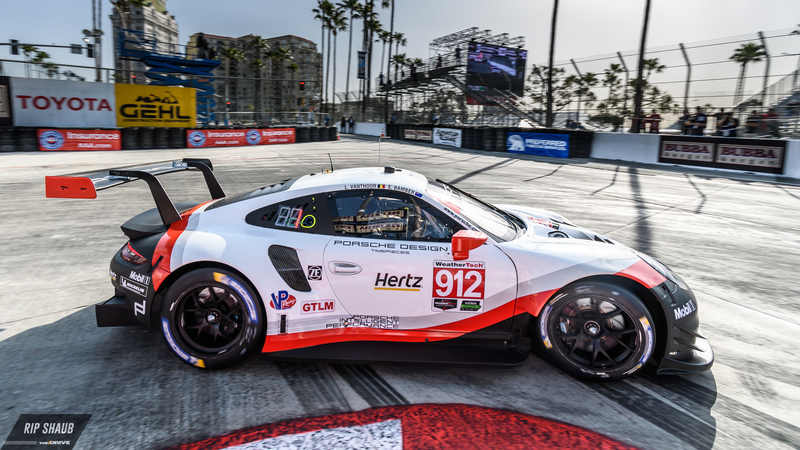 Check back with The Drive as we cover the event trackside along with the rest of this weekend's action at Long Beach including IndyCar, Pirelli World Challenge, and more.